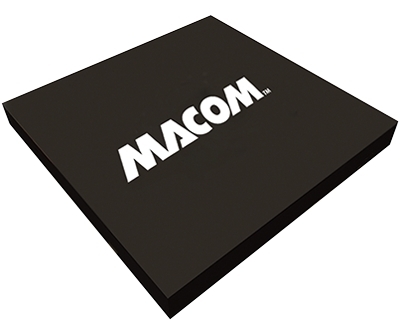 LOWELL, Mass.--(BUSINESS WIRE)--MACOM Technology Solutions Inc. (“MACOM”), today announced the MAOM-00641X series of three surface mount 64 Gbaud linear modulator drivers to enable the next generation of high capacity coherent transmission systems. Leveraging existing fiber installations, today’s service providers are challenged to maximize their bandwidth and increase their data throughput-per-fiber. By maximizing the data rate on a single wavelength, operators can increase capacity and reduce the overall cost-per-bit of transmission. The transition to 100G has been enabled by coherent technology, while continued evolutions in PHY technology have provided the pathway to 200G, 400G and beyond. Due to the shorter reach requirements, metro networks can use higher order modulation formats up to 64 QAM at baud rates of 64G, to achieve data rates of 600G on a single wavelength. The next generation CFP2-ACO with 64G/64QAM capability, currently being standardized by the OIF, will therefore enable capacity of 4.8Tbps per RU – a 3X improvement over current solutions. MACOM’s MAOM-006417 will be on display at OFC 2017, Booth #1736, March 21st-23rd in Los Angeles, CA. To make an appointment, contact your local sales representative. For more information on MACOM’s broad optical and photonic portfolio visit: http://www.macom.com/opto.